Hey everyone! I just had a super quick card to share using one of my most loved stamp sets from Lawn Fawn, Into the Woods. This is the stamp set that started my love fest for Lawn Fawn, and one of my all time favorites out of my whole craft room stash. I recently picked up the Sweater Weather stamp set, and the coordinating dies and thought they would work perfectly together. 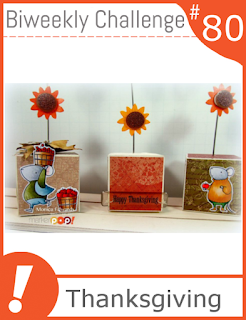 I also chose the Lawn Fawn (Large Stitched Square Stackables) for the card base and panel. This was super quick, I colored it with Copic markers and added some card stock from the Sweater Weather paper pad from Lawn Fawn. Hey everyone! Just wanted to share a card I made using the beautiful stamp set, Pretty Poinsettias from Wplus9. This stamp set was so fun to play with! I used a mixture of pigment inks from Mama Elephant, and Avery Elle and of course my favorite Gold Delicate pigment ink pad. The dies for this set are also a must, and made this card come together super quick. I used Big Scripty Holiday Greetings from Simon Says Stamp for the sentiment. Hey everyone! I have another card to share from Paper Smooches! For my card I'm sharing today, I used the beautiful A Holy Holiday stamp set. I stamped the deer in both gold and silver pigment ink, to get a look resembling mercury glass. Then I masked the deer off and added some masks I made using Birch Trees Dies~Love them! I masked off the trees and blended some pigment inks to create a winter background. Then I removed one layer of the birch tree dies to add some black soot ink lightly, to make the birch trees background. I added the sentiment from A Blessed Christmas and added a small frame popped up a bit. I love how this turned out, so elegant...without being fussy! I am playing along with the Paper Smooches Sparks Challenge! You should come play too! Hey everyone! I've been playing with my Paper Smooches stash, and having sooo much fun! For today's card, I wanted to make the cute Fox and Penguin (Chilly Chums) peeking through a window. So I used the Polaroid Dies to make a quick window. I colored my animals with Copics and had to used the Hats Dies, too cute for words! I used Bitty Bungalows for the sentiment, and added Holly Dies for a pop of color. The shocker is, I used patterned paper! Even though I really prefer clean and simple, I broke out of my little safe zone of white, lol! The woodgrain paper was perfect, I think! I am playing along with the Sparks Challenge, from Paper Smooches! You should play along too!